Although often known by the common name of English Ivy, Hedera helix is actually native to most of Europe and western Asia. It is a hardy, evergreen climber which under favourable conditions can be expected to reach a maximum height of between 20–30 m. Although considered little more than a noxious weed in the many countries where it has successfully naturalised, it was once held in higher regard when it was used for making wreaths which were worn by dancers and on the brows of the Greco-Roman deity in the tales of Bacchus - the god of wine. The leaves are glossy dark-green, often with silver markings along the veins. The green-yellow blooms are formed in umbels from late summer until late autumn. Each flower is 3 to 5 cm in diameter and very rich in nectar. It is considered to be an important late autumn food source for bees, butterflies and other native insects. 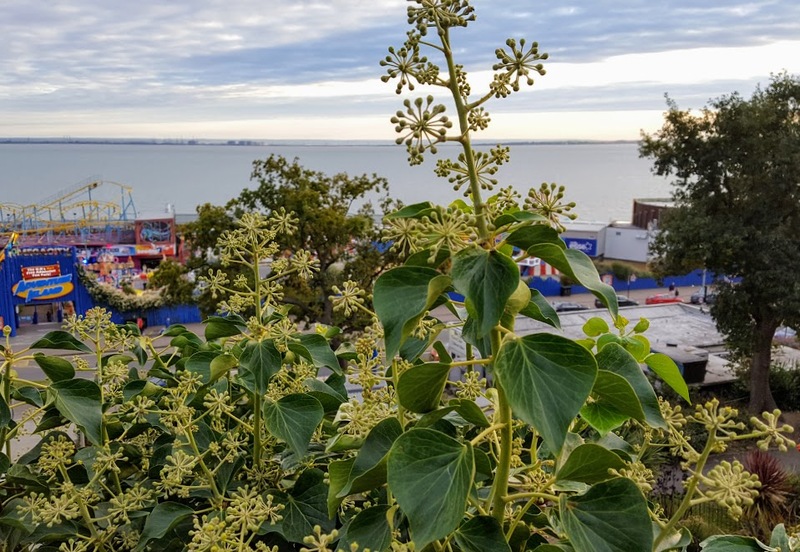 English ivy is an extremely robust and vigorous (some might say aggressive) species capable of growing in most soil types in almost any situation. It is one of the hardiest of all species within the genus and arguably the most useful for both ground and wall cover. It will perform best in full sun although it will benefit from some shade during the hottest part of the day over the summer. Pot grown specimens can be grown in 10-15 cm pots containing good quality soil-based compost such as John Innes No.2. Keep in a position of full sun but move to a position away from direct sunlight over the summer. Keep the compost just moist throughout the year and feed monthly with a half dose liquid soluble fertiliser. Unusually two forms are produced. The first is juvenile, sometimes known as runner growth with lobed leaves and adventitious roots able to attach themselves to any surface. The second form is adult or arborescent growth in which it bears flowers and fruits. In this state the leaves are entire with wavy margins, but unlike the juvenile growth it does not have adventitious roots. This arborescent growth is produced on the upper levels of the runner growth when it reaches the top of its support. Along with its many cultivars, Hedera helix has proven itself to be an excellent houseplant particularly in unheated rooms. 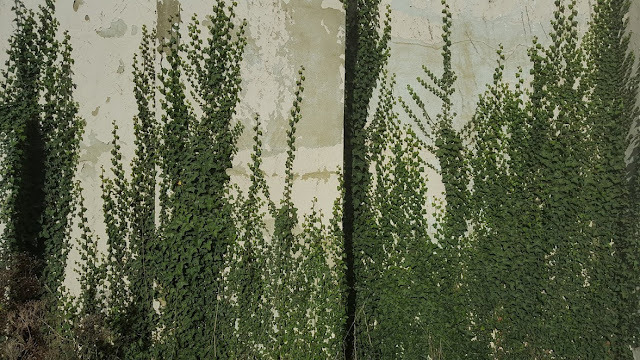 When grown on walls or fences cut it back close to its support during February or March each year. English ivy can be pruned again during the summer to remove excessively long runners or any other unwanted growth. If growing on a house or small building wall keep an eye out for runners damaging gutters or entering the roof space. 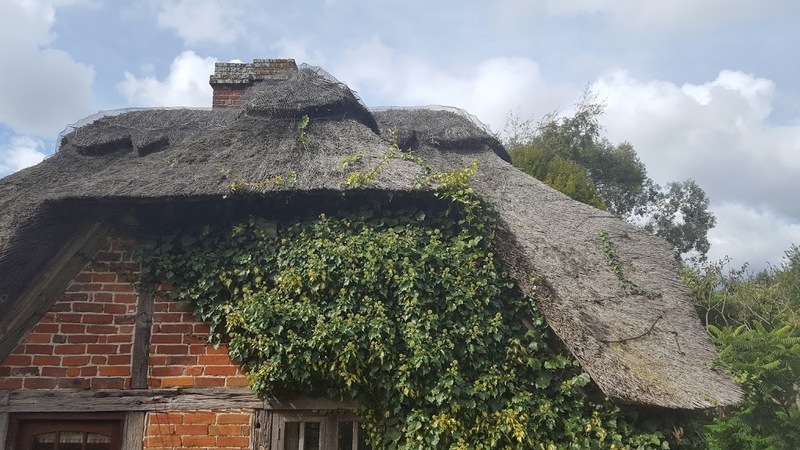 This can be a particular issue with thatched roof properties. Note. Cuttings taken from the arborescent growth will retain its adult form and develop into rounded, bush shrubs which both flower and fruit freely.